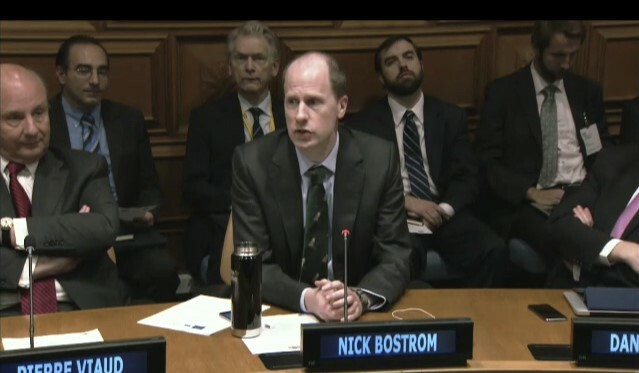 On October 7th Nick Bostrom spoke alongside Max Tegmark from the Future of Life Institute at the United Nations Headquarters in New York. The event was titled CBRN National Action Plans: Rising to the Challenges of International Security and the Emergence of Artificial Intelligence. UN delegates were briefed on the development of national action plans to respond to CBRN (chemical, biological, radiological, and nuclear) threats. The event also featured a briefing led by Bostrom and Tegmark, aimed at enhancing awareness of the current and likely future capabilities of artificial intelligence and autonomous robotics.